(Unstructured Supplementary Service Data) codes for checking the data balance, account balance, current active plan. Operating mobile is a daily dose for us we need to keep it recharged with data, balance, and current active plans to save some money. As I have seen most of the teenagers and IT people uses the Vodafone network. I think this is the best post for you to get all Vodafone USSD codes and SMS alerts. Note: All codes are tested and working in Bangalore because I live in Bangalore. There may be some chances of Vodafone USSD codes listed below not working in your state. We will update the list for every state soon. 4. Enter the mobile number to be recharged. And press call. As mentioned in the note these codes are working for Karnataka region. We will update the list of Vodafone USSD codes for all states if you found any trouble in knowing the details of any code. Put a comment in the comment section below. 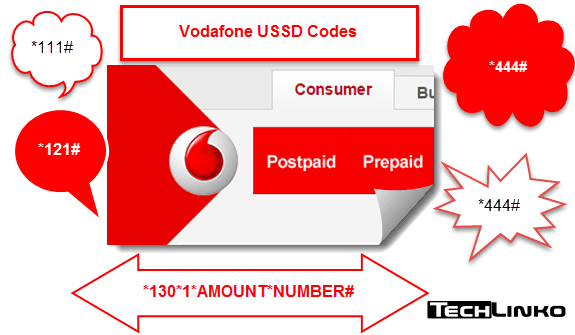 We will try to solve it OR Place any important Vodafone USSD code you know we will place it in the list. *444*1# is not in use. I want to check rate cutter on my vodafone number . I am not able to get it the codes you expalined. please tell me the VODAFONE 1.2 P/SEC USSD code. Last USSD code *444*707# in Rs.1 is not working now. I urgently need a fellow profound professional hacker, trusted and honest person that i can work with. I am Bryan Cranston a part of the Dark web cyber hackers,,you can search and see some of my wall on quora likewise disqus,, i have hacked so many site, Bank Accounts and school upgrades also cleared criminal records,hacking is what I do for a living, I have some already hacked bitcoin wallet accounts with large transfer and i need a trusted worthy hacker like I am that can aid the smooth transfer of these money, with some softwares obviously. you will be getting 15 percent of the initial funds in every successful transaction. My transfer is ensured clean and secure. Interested hacker should contact me via my email Globalhacktech(at)gmaildotcom.